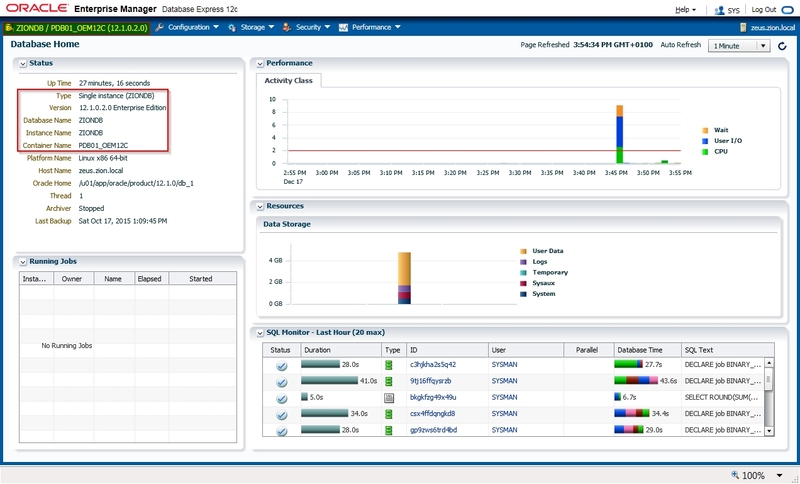 Oracle Enterprise Manager Express is a Web-based interface for managing an Oracle database 12c. It enables users to perform basic administrative tasks such as managing users, managing database initialization parameters, memory or storage. 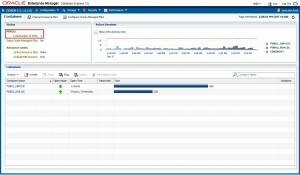 You can also view performance and SQL Tuning Advisor information, check status information about your database and pluggable databases. 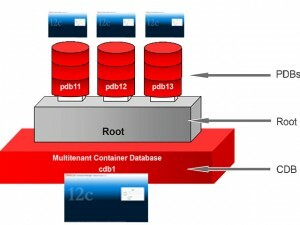 In Oracle Database 12c Release 1, the concept of multi-tenant environment has been introduced. 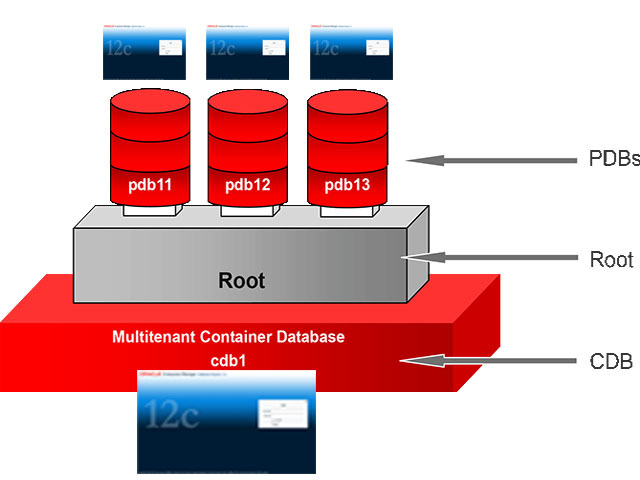 The multi-tenant architecture enables an Oracle database to function as a multi-tenant container database (CDB) that includes zero, one, or many customer-created pluggable databases (PDBs). Root named CDB$ROOT, stores Oracle-supplied metadata and common users. 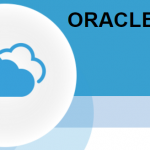 An example of metadata is the source code for Oracle-supplied PL/SQL packages. A common user is a database user known in every container. 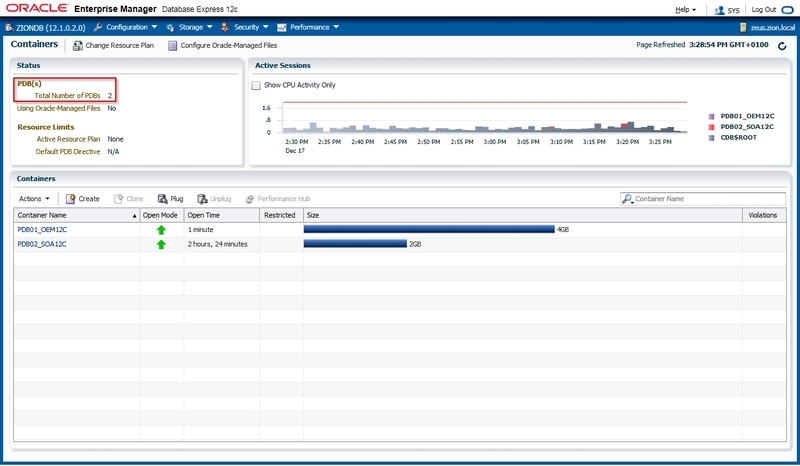 A PDB appears to users and applications as if it were a non-CDB. 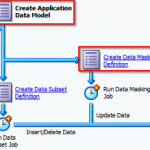 For example, a PDB can contain the data and code required to support a specific application (e.g., APEX). Each of these components is called a container. Therefore, the root is a container, the seed is a container, and each PDB is a container. 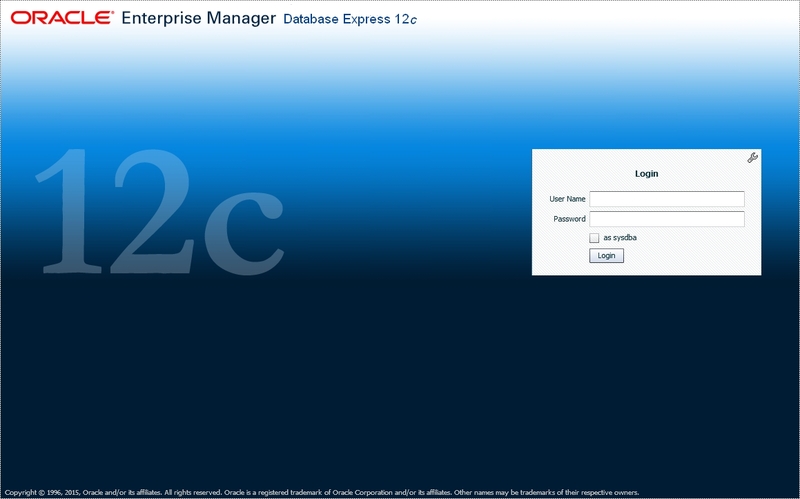 In this tutorial we will show two different types of configurations of Enterprise Manager Express one for CDB and the second for PDBs only. 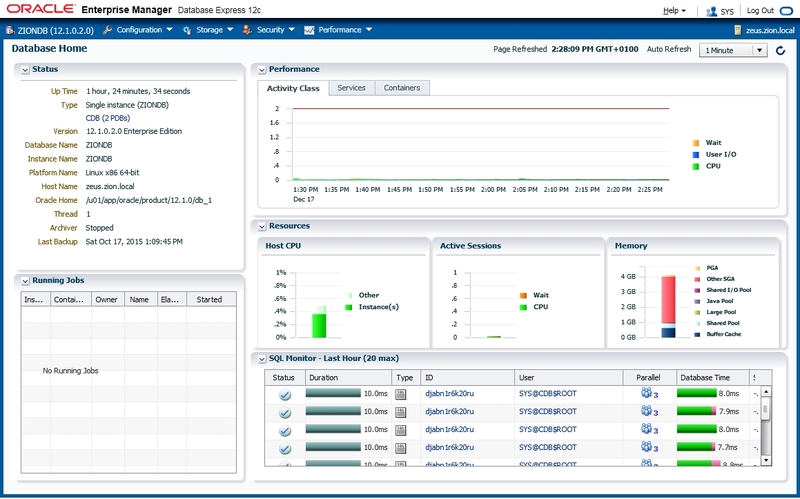 Imagine yourself as a dba who has full access to non-CDB/CDB/PDB, OEM Express 12c will allow you to manage CDB and all PDB containers from one central console. 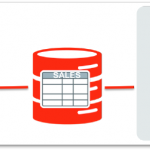 On the other hand you would like to allow regular users to login to OEM Express 12c as well, but grant them access to their PDBs only. 1. 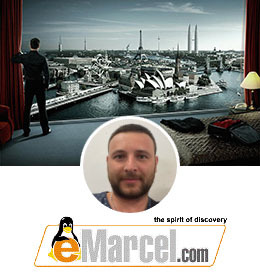 Open a terminal window, execute the oraenv command to set the environment variables and connect to the multi-tenant container database (in our example ZIONDB) Check if the database is a CDB database and it is open. 2. Verify that the DISPATCHERS parameter in the initialization parameter file includes the PROTOCOL=TCP attribute. 5. 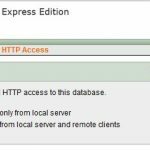 Login to Database EM Express Home Page. 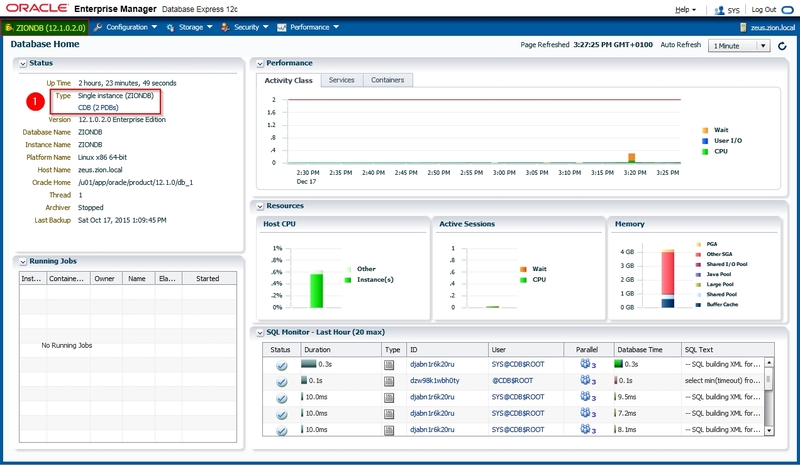 We are configuring EM Express for PDB01_OEM12c container to run on ports: HTTPs 5501 and HTTP 5511. 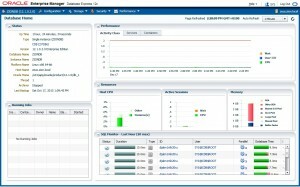 Repeat recent steps from 2 to 5 to configure EM Express for more PDBs. 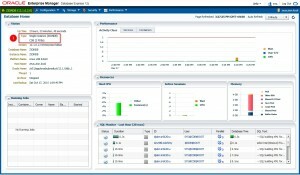 If returned port number is 0, it means that EM Express is not configured for that particular container.